The Middle Kingdom usually isn’t on everyone’s travel list, but let us give you 5 reasons to visit China: the land of vibrant cities, diverse landscapes and a mystical, rich heritage. China is home to 50 of the world’s UNESCO World Heritage Sites, the second highest in the world, so a tour to China is a step back into its stunning history. You can gaze upon the unique faces of the 8000+ Terracotta Warriors, you can trek upon the crumbling Great Wall and you can walk amongst the ghosts of the past in The Forbidden City. Less known sites include the Grand Buddha of Leshan, the Sichuan Panda Valley and the ancient city of Pingyao. All very different, these protected areas are a must-visit on any itinerary regardless of where you travel in China. We’ll just leave these images here…. China has a huge population: almost 1.4 billion people! Huge cities have been developed over the past 30 years in order to grow China’s economy, resulting in dense urban areas where 56% of the country’s population now live. 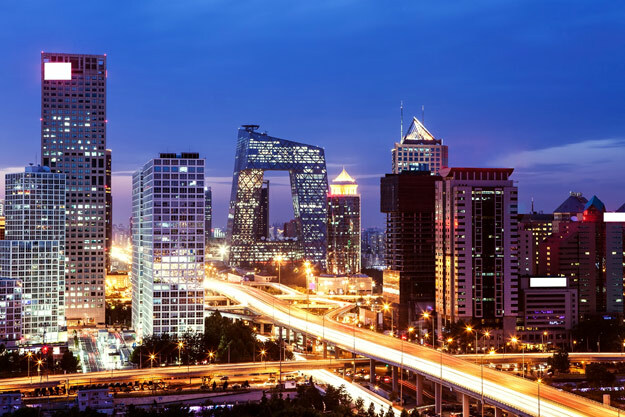 The government’s plan of mass urbanisation aims to have around 70% of the population living in urban areas by 2025, mostly in the building of new cities to avoid the mega-cities of Beijing and Shanghai from growing too much. These cities are to be seen to be believed! Huge skyscrapers decorated in neon lights touch the sky as cars driving on motorway flyovers whizz past. There’s a wonderful assault on the senses as locals cook street food whilst motorbikes scream past, as night falls and the bustle of the city continues on. Everywhere you look are cranes as new buildings are created literally overnight and modernity quickly takes over. Despite their massive growth, Chinese cities have managed to retain their authenticity and history, such as the relaxing Yu Gardens amongst the sprawl of the skyscrapers in Shanghai and the imperial Forbidden City amongst the traffic noise of Beijing. They are filled with UNESCO World Heritage Sites, informative museums, boutique hotels, delicious cuisine and energetic nightlife. Make these cities a part of your China itinerary and you won’t be disappointed. As 56% of the country’s population live in cities, the rest live in small towns and rural countryside. And all of these landscapes are open for you to explore. 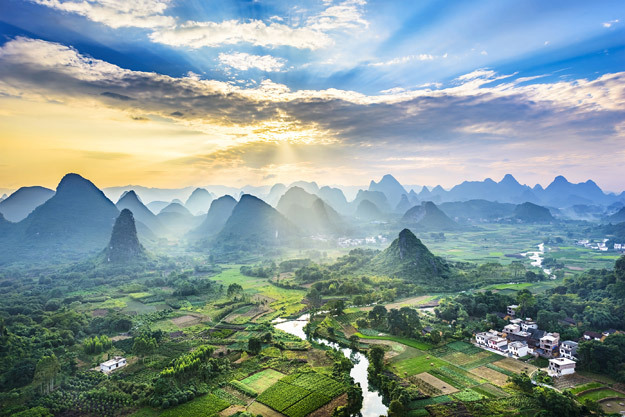 Popular, rural towns such as Guilin and Yangshuo are surrounded by verdant karst peaks; a completely different sight to Beijing or Shanghai. The provinces of Yunnan and Sichuan are mountainous and lush, with hundreds of villages which retain their imperial features. The famous Three Gorges on the Yangtze River shows the power of nature at its very best, whilst the Yuanyang Rice Terraces are one of the most stunning man-made landscapes that you’ll ever see. China also has an abundance of national parks: 225 in total. 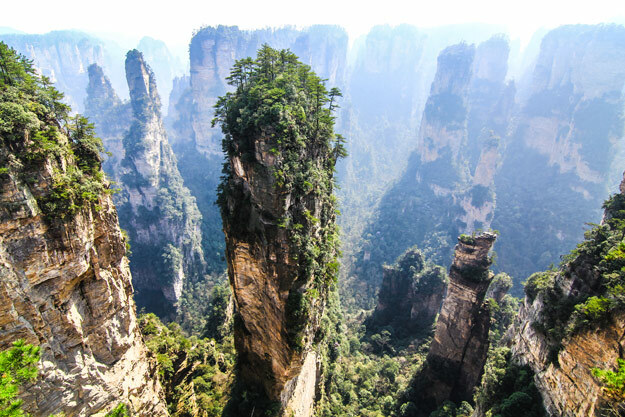 Ones to visit include Zhangjiajie National Park, which has spectacular, pillar-shaped rock formations which were the inspiration for the 2009 film Avatar. 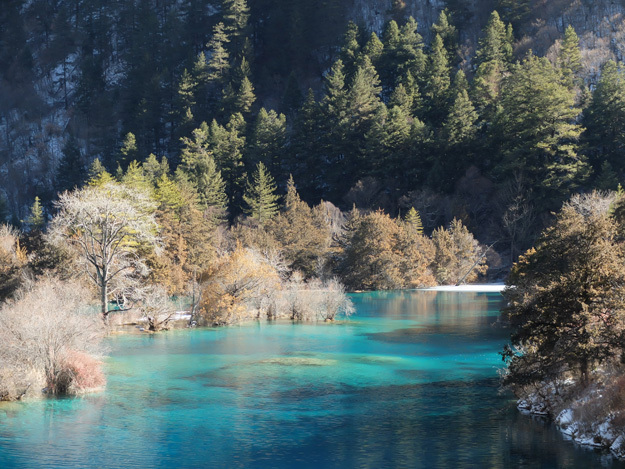 What about Jiuzhaigou National Park? Known for its beautiful waterfalls, emerald blue waters and snow-capped mountains, the region is also known as Nine Villages Valley from the nine Tibetan villages that can be found here. The Chinese food you love and eat in the western world is quite different to the food eaten by locals in China. We tend to eat food recognised as being Cantonese, but China is a large country and there’s so much more to try! Pork and chicken are the most popular meats, with tofu also being very popular. They’re usually stir fried or placed into delicious, steaming soups, along with a huge variety of vegetables. Rice is the staple food with every meal, though in northern regions, noodles or wheat buns are used instead. These carbohydrate sources are seen as the focus of the meal, with the meat and vegetables accompanying it. Similar to other countries, due to the influence of other surrounding countries and cultures, the food in China varies depending on the region you travel in. 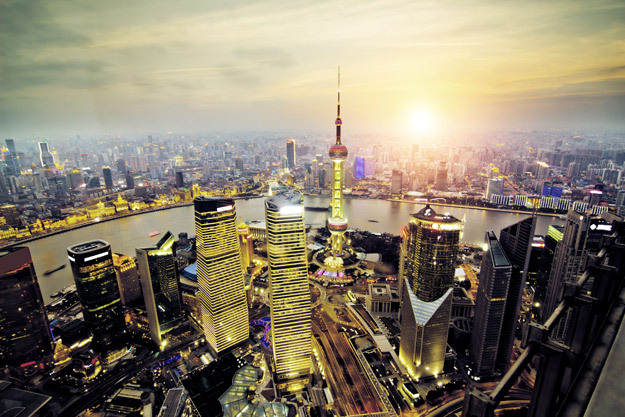 Shanghai is known for its heavy use of soy and sweet dishes, whereas Xian is known for its Muslim food markets, handmade dumplings and freshly made noodles. Sichuan – or Szechuan – cuisine is known for being spicy through its use of chilies and szechuan peppercorns, and Peking Duck is a famous specialty in Beijing. 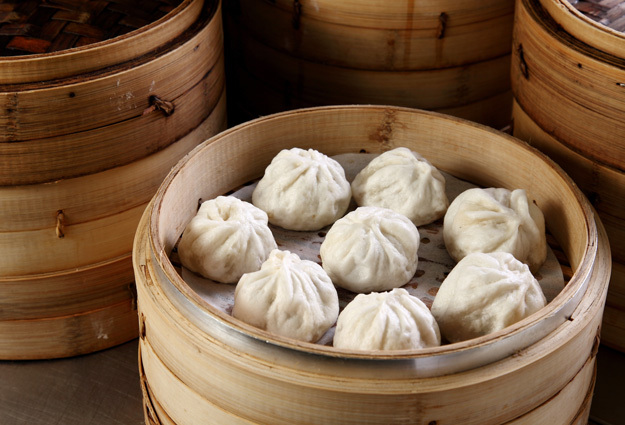 Dim Sum and Char Siu BBQ are historically Cantonese, hailing from the Guangzhou region. Rarer meats are also eaten in more remote regions, such as frogs and chicken claws. Fish tends to be eaten in coastal areas, though is found more inland, especially seafood. Food is commonly placed on the table all together in small dishes, so you can take a little bit of everything to taste. This is then all washed down by tea: the Chinese drink of choice, which is most commonly free in Chinese restaurants. Fresh fruit usually follows as dessert. A big part of travelling abroad is absorbing the culture and sampling the local cuisine. With so much variety to try, your culinary taste-buds will definitely be alive with flavour. You’ll crave traditional Chinese food once you’re back home. If this is true, see our favourite authentic Chinese Recipes that you can cook at home. How many people do you personally know that have travelled to China? Although it’s the 4th visited tourist destination in the world, only a very small number come from Europe. 5% of tourism in China is from international tourists – a phenomenally low number – so you would be in the minority when travelling to China. 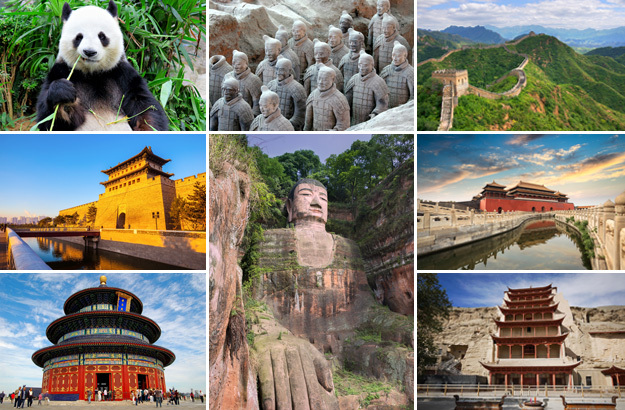 Did you like our 5 reasons to visit China? Explore China with the UK’s leading China Experts, Wendy Wu Tours. 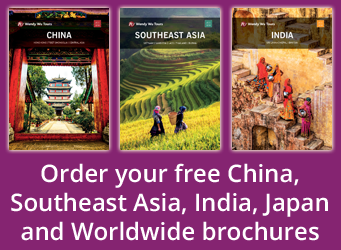 Our award winning escorted China tours visit all the major sights of China for an unforgettable holiday. 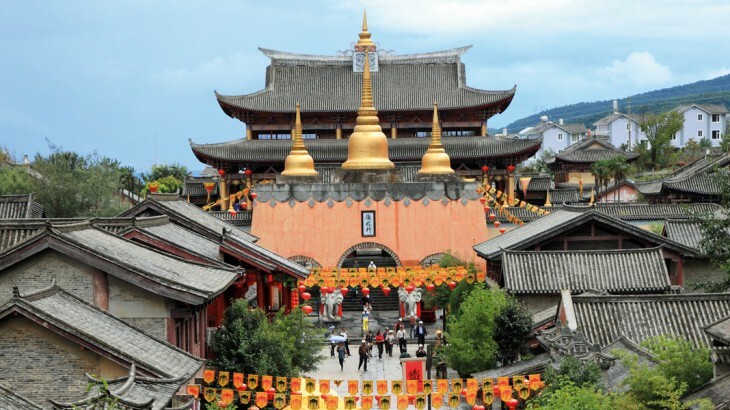 China food and drink, sightseeing, top things to see, unesco heritage site. permalink.